Kind of squeaked over the line with that 4-character post there. I will chime in and say that I don't think the original AoE and AoK would successfully translate directly into a F2P model with all their depth and complexity intact. The underpinnings of AoK - the complex simulation engine, would be a very difficult to port to a web browser/remote server model. As to weather or not a 2D RTS could be successful today - I don't know. Conventional wisdom says it has to be 3D.. but if the 2D was good enough, would enough people care enough to keep it from being successful? I have to admit that I have a pro 2d bias, so I'm not the one who is going to see it most accurately. Still AoK is a product of it's time. A really great one, but it was only during that era that it probably could have been made the way it was. Tetsuo Shima's post was most interesting. There really are (at least) two large camps of people who play AoK - those who take multiplayer seriously and focus on the competition, and the single player gamers who find the content more interesting. Anyway, we made it to 1000 posts! Yay! Regarding another game (Age 4?) in the Age of Empires series... I have *NO* idea what Microsoft will do in the future. I know they know they have a good IP in Age, but that's all. It's unclear what their corporate vision for future gaming is between Windows 8 and Xbox Next and tablets, and who knows what. Given that, there are probably a lot of different ideas for IP development there, but possibly no way for *any* of them to pursued as currently envisioned. It's a big and complex company. I have no idea. As for speculation on other things, I can not comment on anything at this time. Regarding 2D/3D real strategy games, my personal opinion is that any 3D game can hardly beat 2D game in matter of overall overview of what`s going one on the field (unless some new concept comes out into the play), and that is one of the most important things here. When I look at Age of Empires II, battles, unit position on the field, in the clash of the fight, behind the buildings - it`s really easy to make a difference between the units, and pinpoint their position (that "border" in player`s color making it all much easier, too). When I look at Age of Empires Online, it looks so confusing, having a huge mixture of colors forming a mass that`s not so easy to recognize - though this feeling might be partially because I`m not familiar with AoEO units as I`m with AoC (Age of Empires II: The Conquerors) ones. I think the statement about 3d is only half true. Overall I think what does make 2d games stand out is their perspective, not their dimension. 3d games don't have an isometric perspective, that's what kills the overall overview. It doesn't matter as much whether the unit you look at is a 3d model that has been pre-rendered into a bitmap or whether it's rendered in real time by your graphics card. Take 0ad game perspective: Link. It looks nice, but there's no way you can play like that. Compare that to 3d games with a nearly isometric perspective, and you will get the overview you need and want: ANNO 1404, for example. And what about Kickstarter, Matt? I guess there are enough 2d fans still out there who could make it happen. jeez alex, you've converted me. I never realized that because I never compared these side to side, but wow your completely right. I hope you don't mind, but this just became a legitimate concern now that I saw the huge difference, hollered at 0 a.d. forums asking if they will impletement isometric view - I do want to play that game when it's finished! update: The 0 A.D. people replied to me pretty fast. they have isometric after all, at least I think. But that comparison, still huge. don't really need an AoK port to modern times. the game was simply designed too technically well at release, unlike starcraft which had horrible pathfinding, huge UI limitations, and other problems which could easily be improved in a sequel. they would have to make a full remake with a new engine and beautiful graphics which requires a huge budget. as for multiplayer, the community isn't really that big, and the game is too broken in terms of balance / competitiveness. if they make a brand new game, then they could get enough popularity to just live off the casuals who want to build up slowly and fight with huge armies, but i don't think that type of multiplayer lasts. AoC is played like Starcraft (build orders, reliance on unit micro, predictable games, requiring lots of speed) but without the balance / matchmaking / pace. they would have to make it way faster and have near-perfect balance to even compete with Starcraft or they would have to provide a unique experience that appeals more to strategists. 3D is not all that bad. I've been playing Medieval 2: Total War for 6 months and I find no problems with its 3D battle map. It helps me plan the battle more, as I can see behind me and as far as my units can see. (The camera is still restricted) I think if done properly, it brings a sense of realism to the battle. Total war is an entirely different game, its not comparable. I've found an image, but I've noticed a strange thing about it! Look in the top right, what kind of cavalry are they? And there are also 2 rocks in front of the lines of trees that I'm sure aren't in the game. Heck, I think even the water and road and dirt 2 look a bit diffrent. IIRC those Paladin like cavalry with lances are heroes. Those rocks look to be from aoe1. The cavalry are from the alpha/beta and were used for some heroes, and editor only units I think. I think sir John Fallstof or something like that in one of the missions of the alpha/beta Joan of Arc campaign missions used that graphic. I think they were meant for Paladins or maybe even French Paladins (the Franks had French Paladins as their UU IIRC). Fallstaff uses a different graphic than those, btw. If you look closely they are way bigger than the other units. In the alpa version I played, paladins already had a graphic, a very ugly one, and it was not that one, and I'm pretty sure it was Falstoff with that graphic. But there were more than one in the editor using that graphic. Matt Pritchard, can you confirm or try to dig up at what date/(time) the tests took place with the large maps? whilst Phatfish has put that in the same alpha version. Looking at the screenshots it surely wasnt the early beta, because the castle is different. And it's not the prealpha either. I think it was an alpha version comparible to what Phatfish calls alpha2, alpha,3 and so on till 6. Earlier versions or later versions have things I know for sure that werent in it. That screenshot was almost certainly taken from an alpha/beta version of the game, but both of those alpha/beta graphics are in the graphics files (definitely the lancer - not sure about the rocks). They just aren't enabled in the actual game, so a modpack could easily remake that screenshot. Do you still have the beta on your harddrive? Yeah, those rocks are a straight copy + paste from aoe1. They are quite common in the game, used as ground embellishment. As you can see they are half the size of the AoK gold mines in the upper right corner, which makes sense because a lot of the buildings and gaia units were re-made much bigger for AoK. I'm not sure where I left that cd or if I even have it. If I still have it, it will be at my parents house. Btw, I remember having attempted to install it again, but the installer didnt work on vista/w7 64 versions. It was quite a weird version in any case. Jannisaries turned into aoe hoplites when they attacked, knights looked very strange and became aoe cataphracts when they attacked, frankish axeman became aoe axeman. All the unit graphics were different from the final version, good thing because they looked bad. But the buildings, especially the castles werent that bad, but even those were improved. The units turning into other units when doing something was pure "Stand-in" Art... the (final) art for those units and/or animations hadn't been gotten to yet by the art department, so other existing art was used because something was needed so that playtesting could take place with those units. All part of the iterative development process and not having one aspect of the process (new units, testing play balance) being held back by another part (art asset production). In other words, placeholder sprites. Yeah, I see that a lot in beta total conversions. > It's almost 2 years back that I asked if you had time to upload some beta/development materials, but I guess youve been very busy or was/is it a legal issue? please let us/me know. > Do you also have any clue what the compass and minting technologies were meant for? > What is the best description you can give about those outlaws? Were they plundering trade carts or something like that? anyways they have/had an very interesting effect. 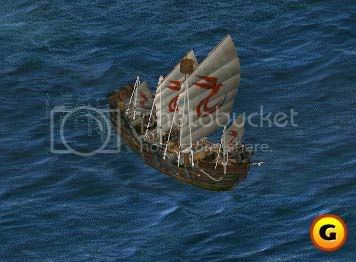 Maybe its still possible to get back their functions since alot of secrets are simply still there within the game because most features like boarding ships have never been removed, but just hidden, or links within the unit datafile simply being reset/removed but their function still being there. Please let me know matt, im a true fan of all your works. By the way, I was able to import and .cty file into aoe2 scenarios and came to the conclusion that they still work! I also remember there was a horse archer in the scenario editor that fired catapult stones. Were they some kind of cheat unit? If I am not being too intrusive Matt, may I ask how the salary system at Valve works? Jetkill> Uhm, People show up and work, and get paid a couple times a month? Taichi San> Not a legal issue, but I probably can't revisit the topic until post-Christmas. It'll all be good, I promise. Taichi San> Outlaws were a brief experiment that was rejected in playtesting. Many of those experiments that didn't make the final cut were not fully deleted from the database or game. I have no memories of the specifics, beyond being similar to wolves. Taichi San> The code to execute martyrdom was probable removed or commented out. Taichi San> AoK stared out with the AoE (RoR) code base. I believe that .cty files were leftovers from AoE ?